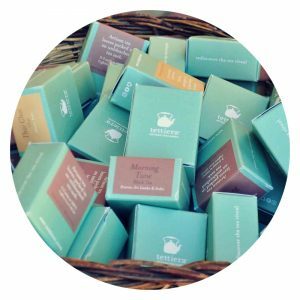 This naturally quiet tea is made up of young and delicate tea leaf buds enhanced with the graceful scent of jasmine flowers. Paired together for several nights until the perfect balance is created. 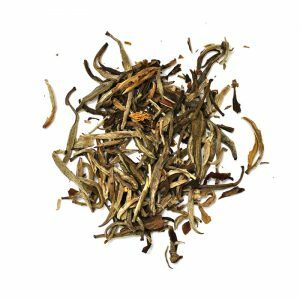 Jasmine Silver Needle white tea is made up of young and elegant tea leaf buds with a whisper of jasmine aura. Jasmine tea production is a two-step process. The tea is harvested and finished in the spring, then carefully stored until the summer, when the jasmine starts to bloom at night. Each evening, the tea is carefully layered with fresh blooms, which will open and give their scent to the tea. In the morning, the flowers are removed and the process is repeated again that evening. This happens several nights in a row, until the tea master has the aroma balance just right. At the end, the tea is refired to dry off any flower moisture imparted to the leaf. This is why some jasmines can have a toasty finish.